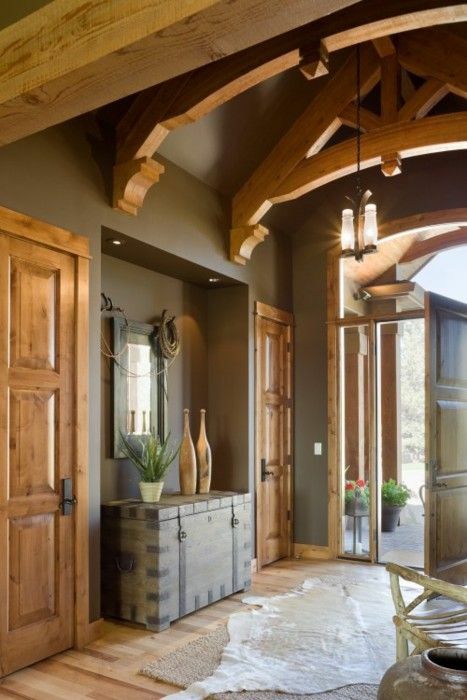 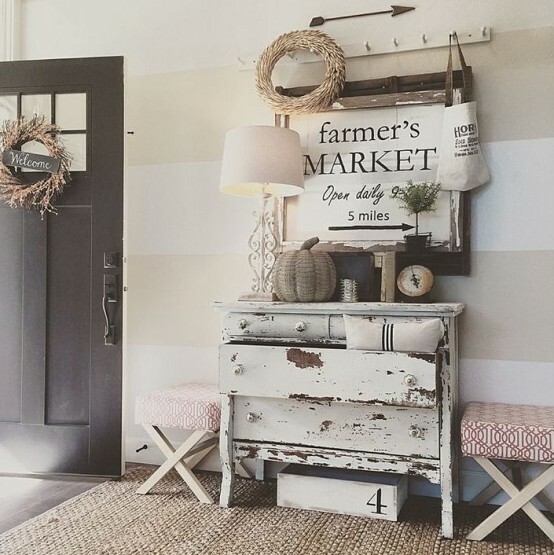 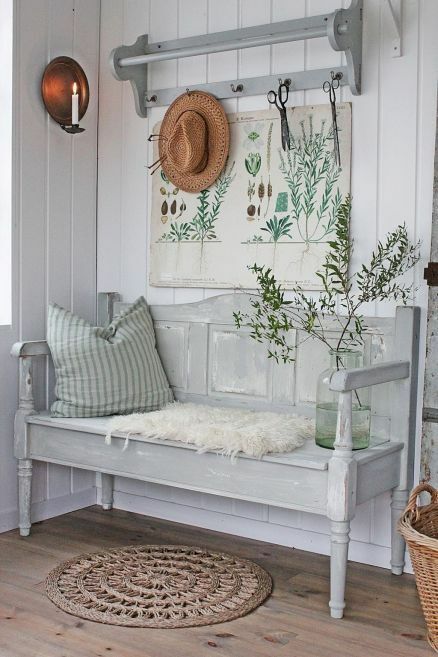 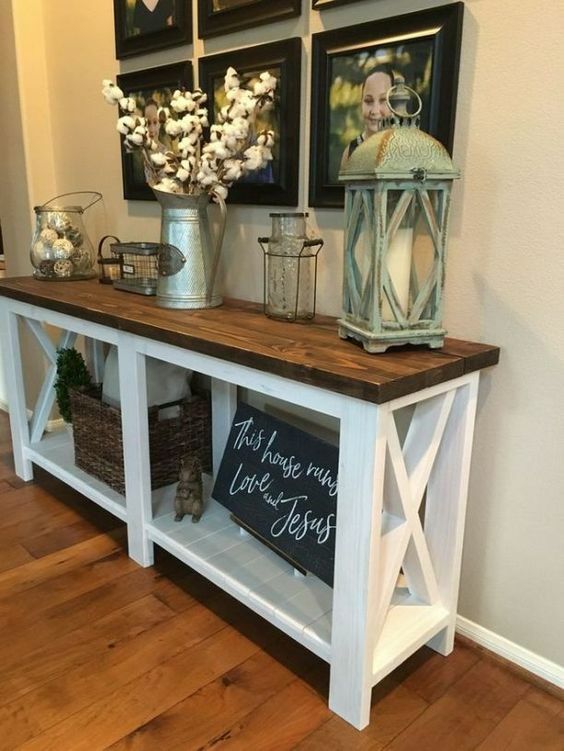 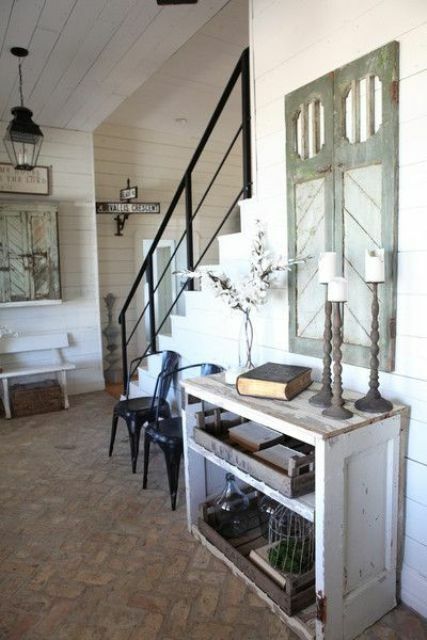 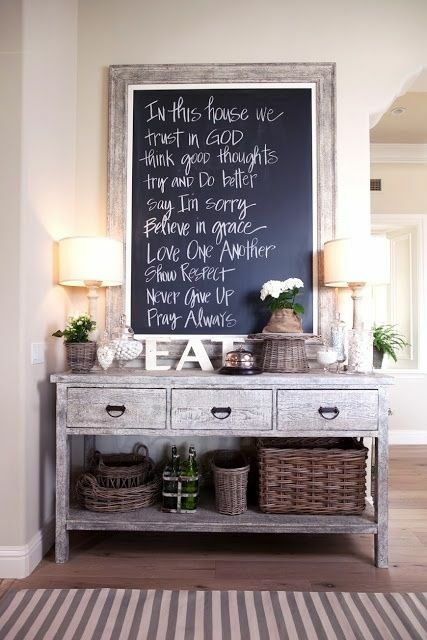 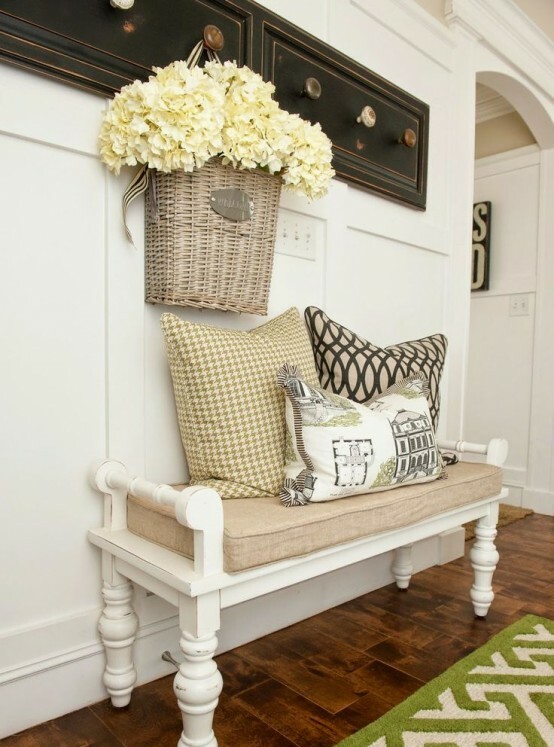 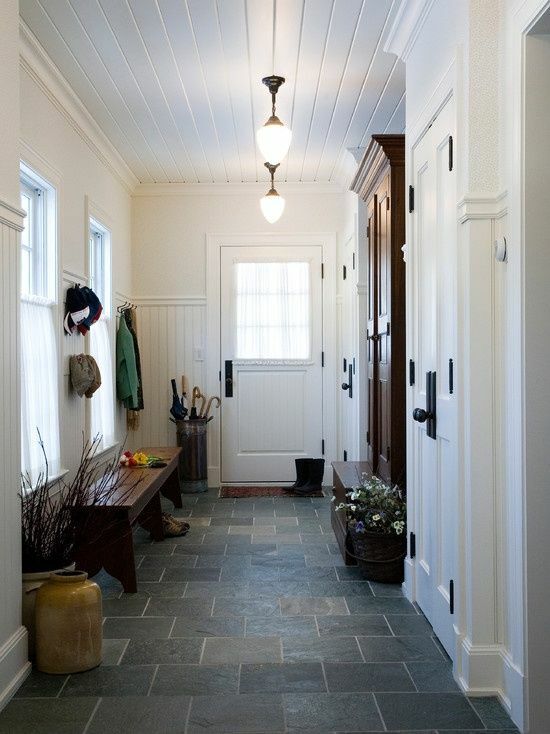 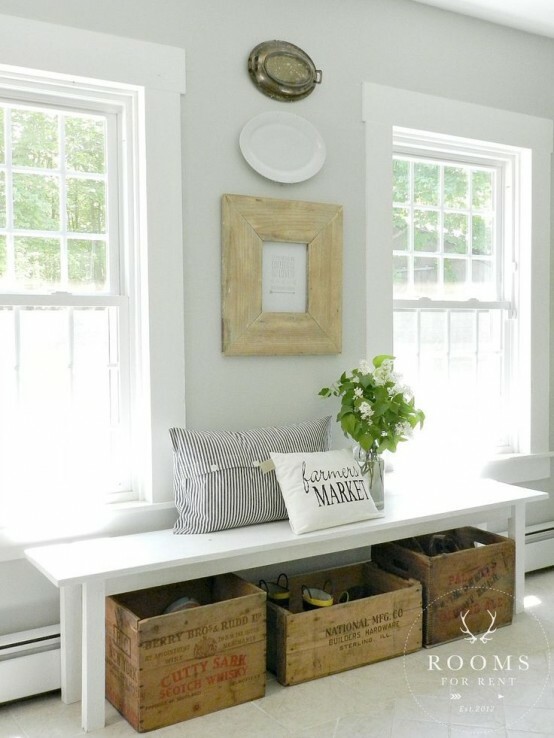 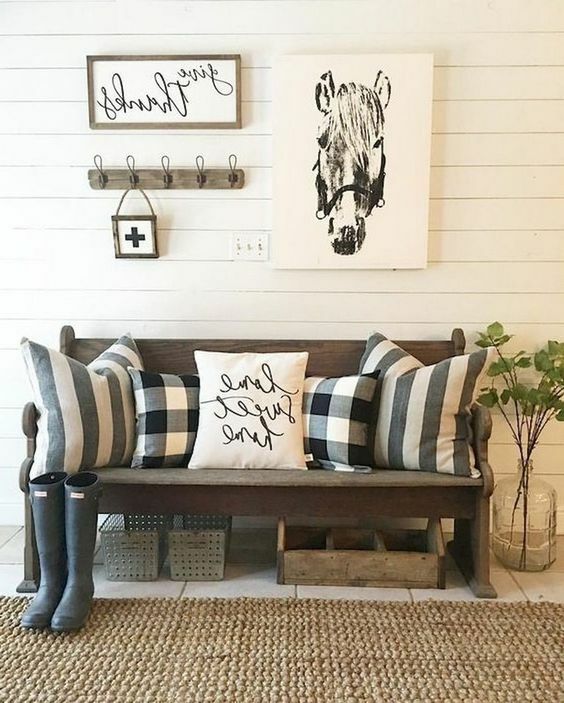 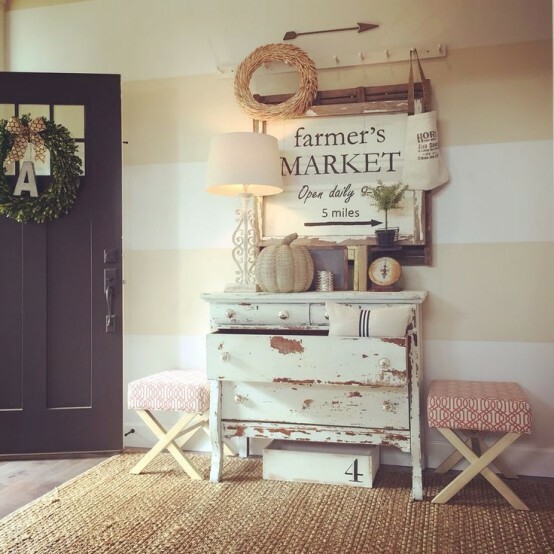 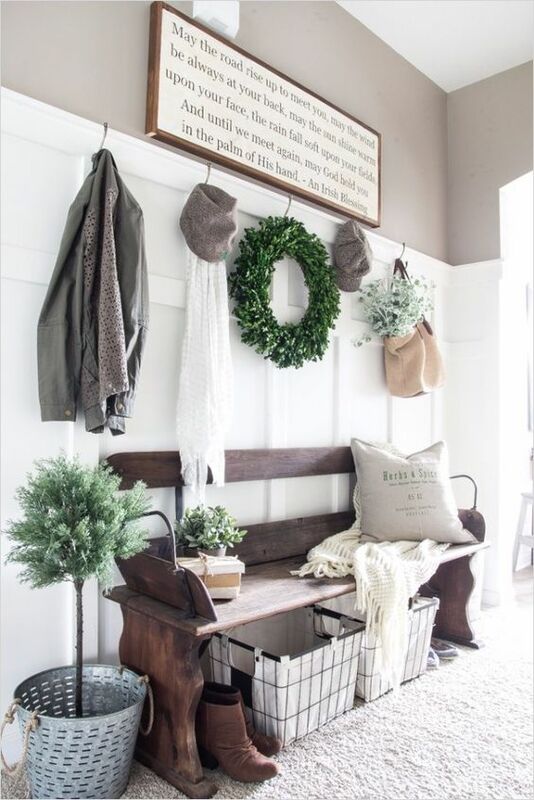 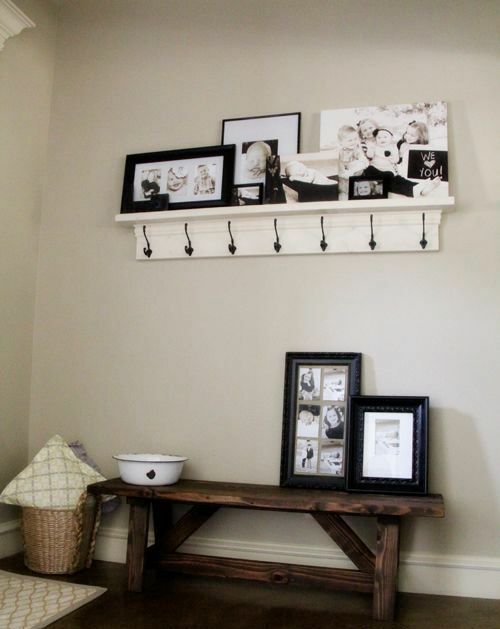 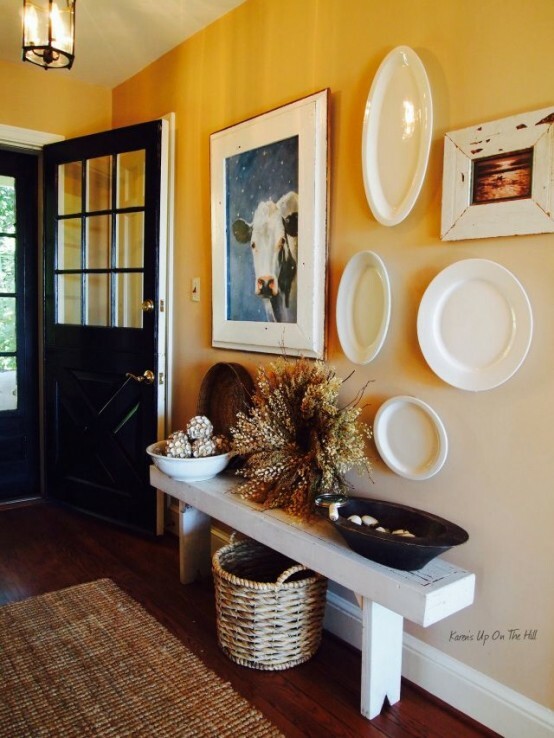 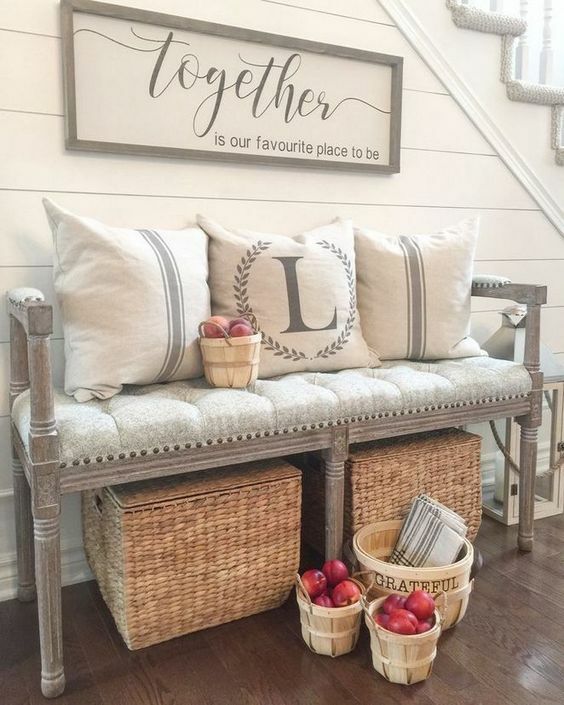 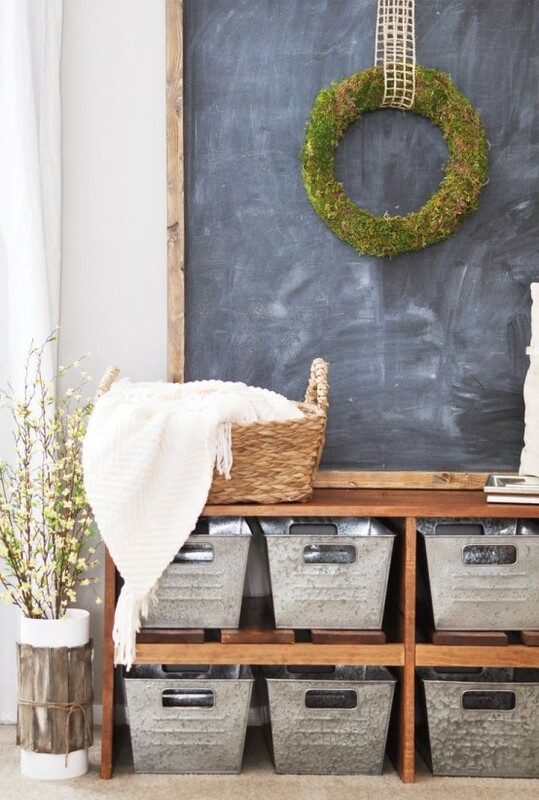 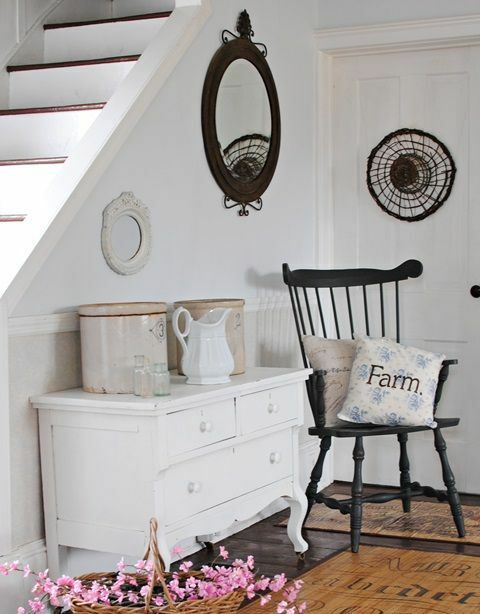 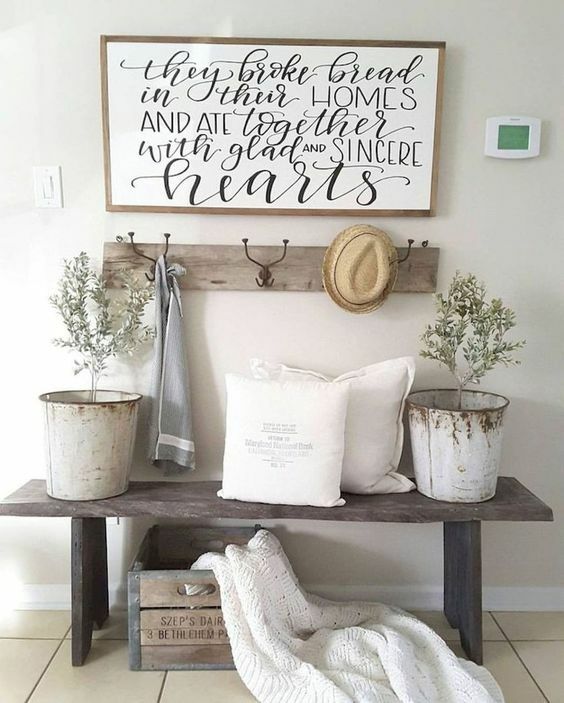 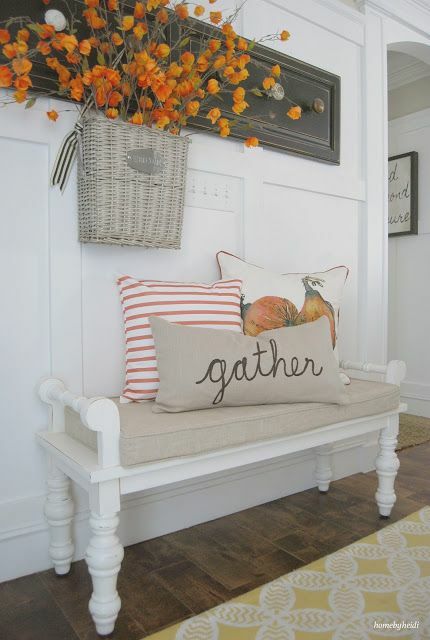 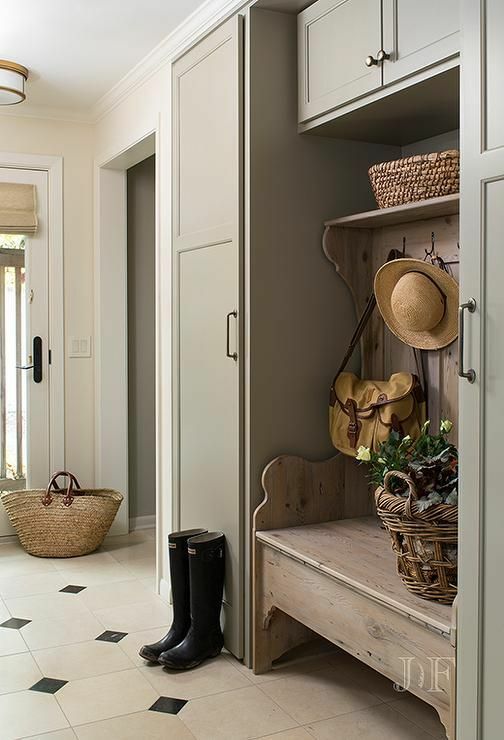 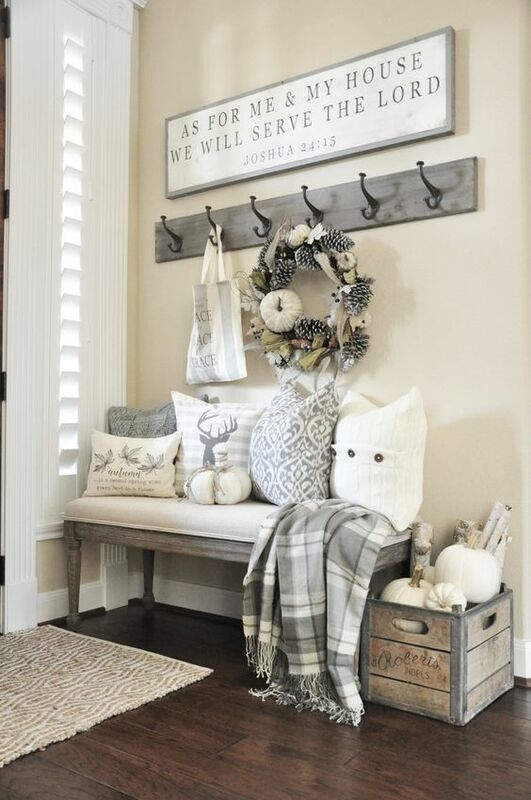 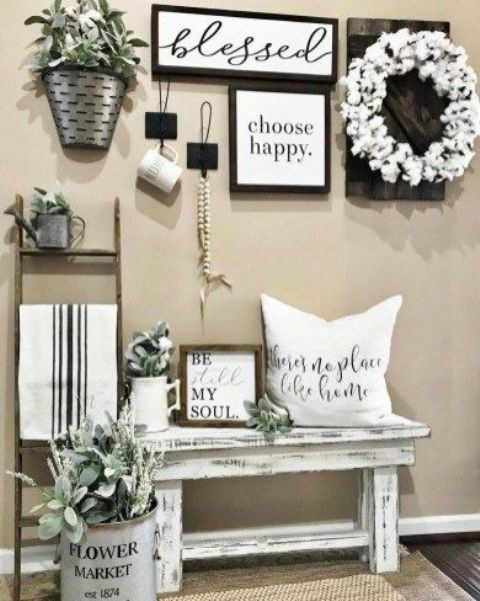 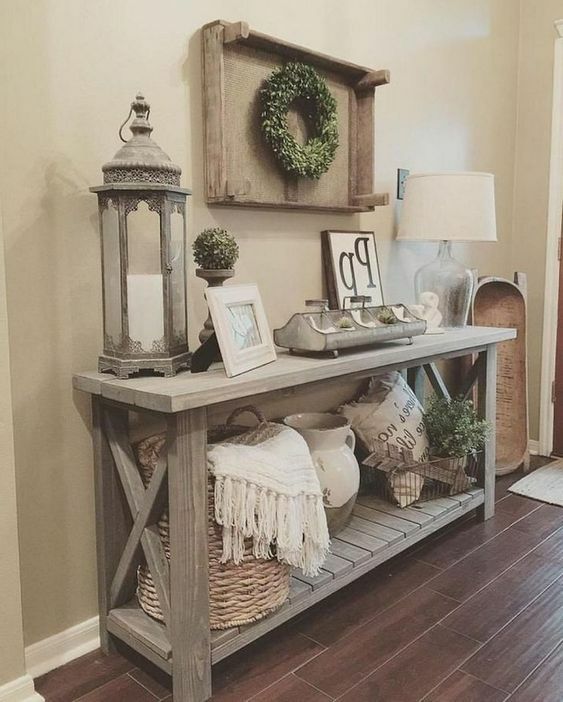 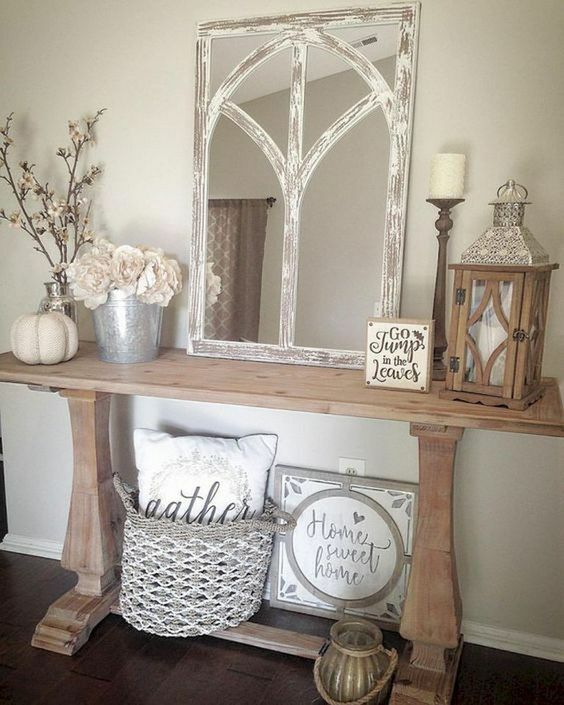 Farmhouse decor is mostly about neutrals like white, off-white, light grey, tan, beige, and pastel colors. 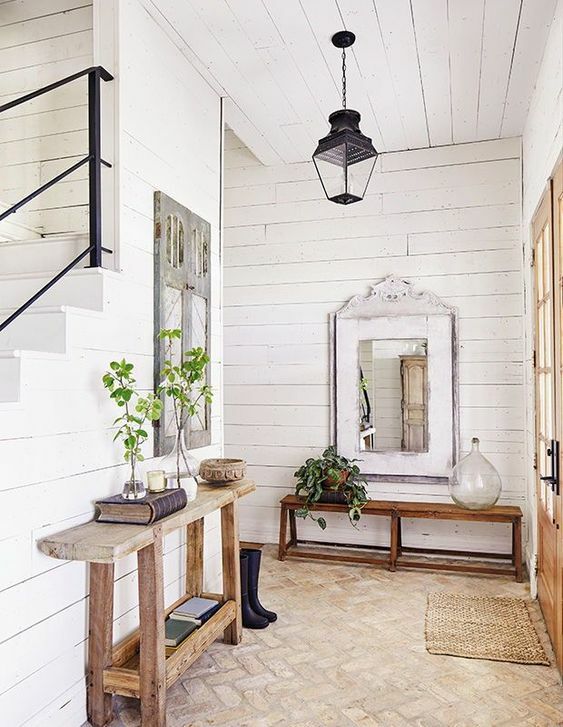 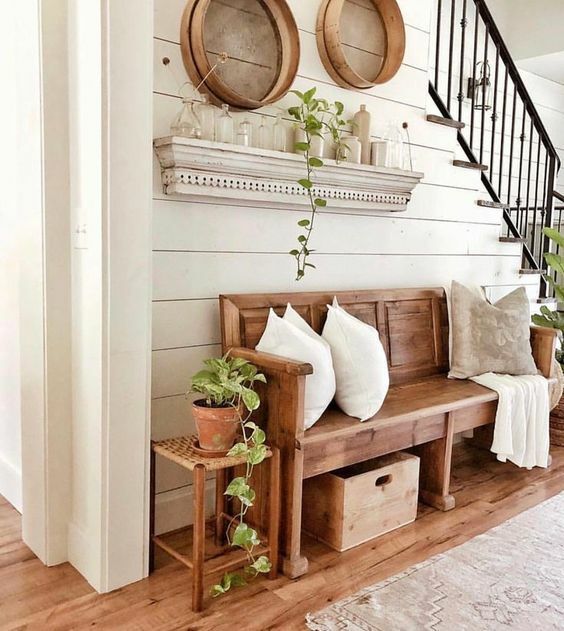 You can go for whitewashed or white wooden walls and a wooden floor – wood is a characteristic material for a farmhouse space. 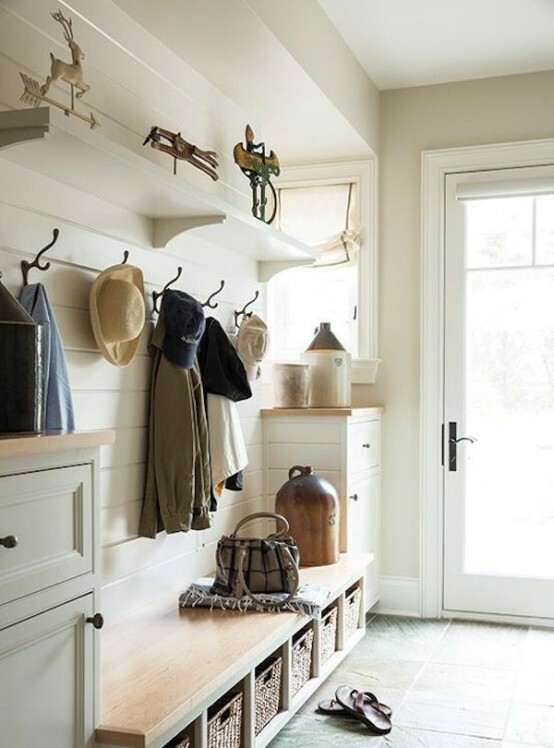 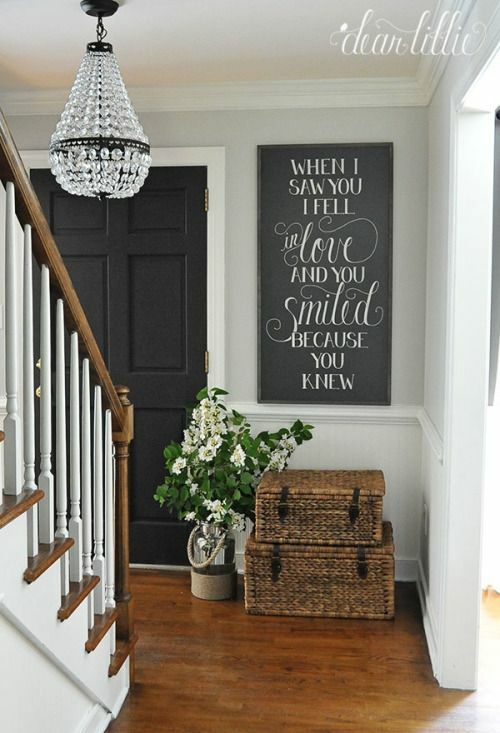 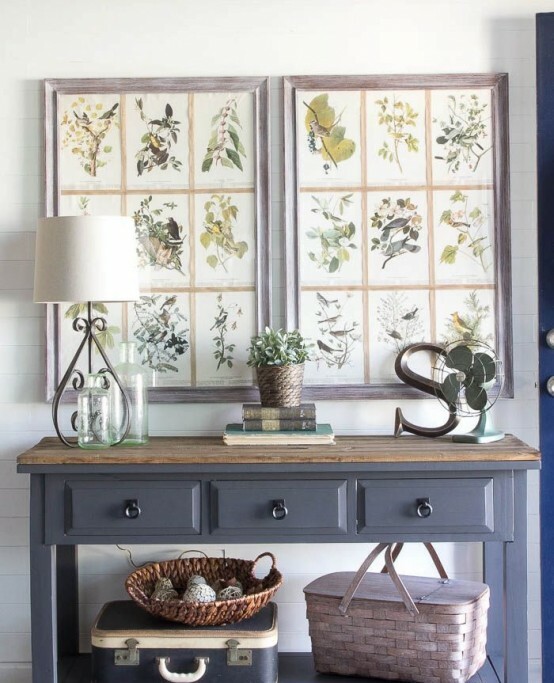 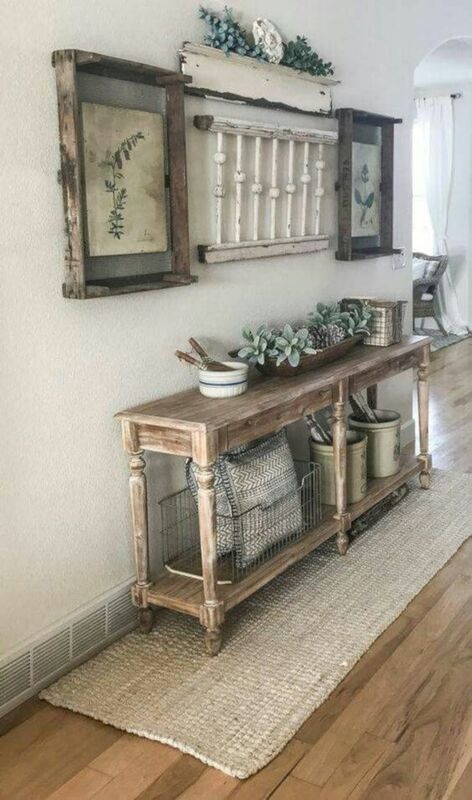 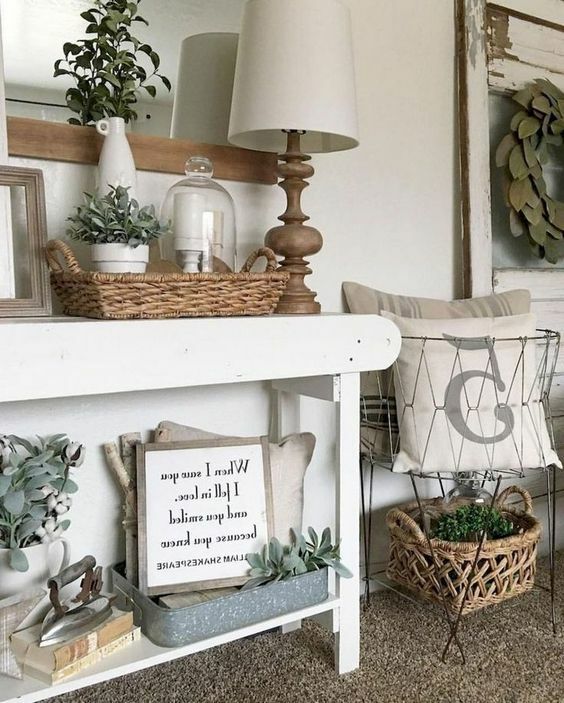 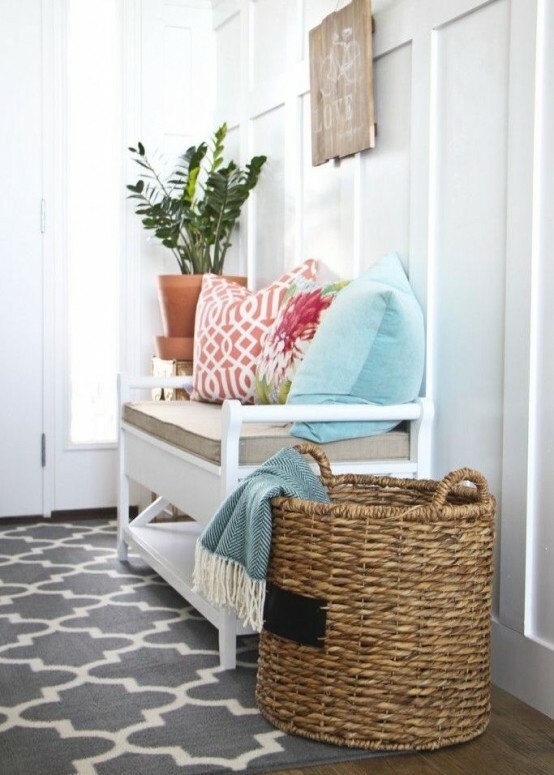 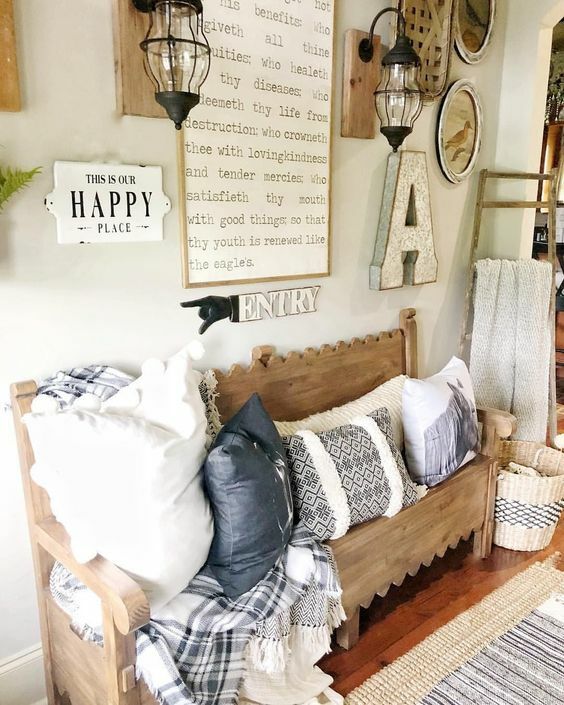 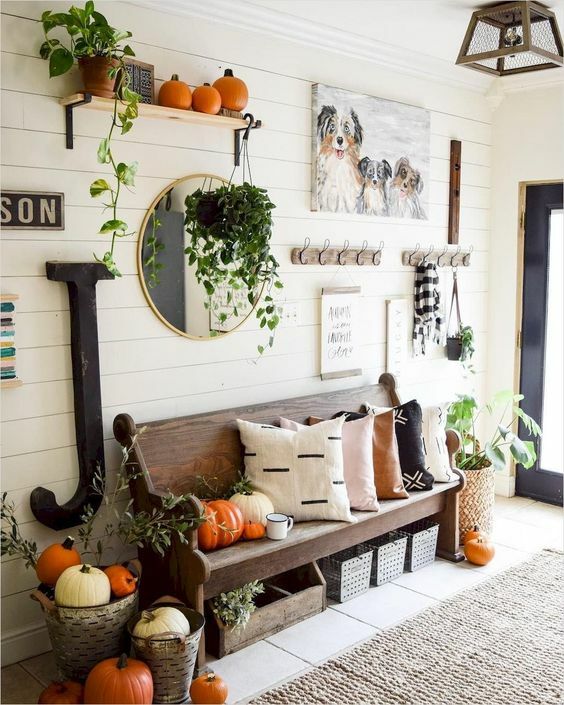 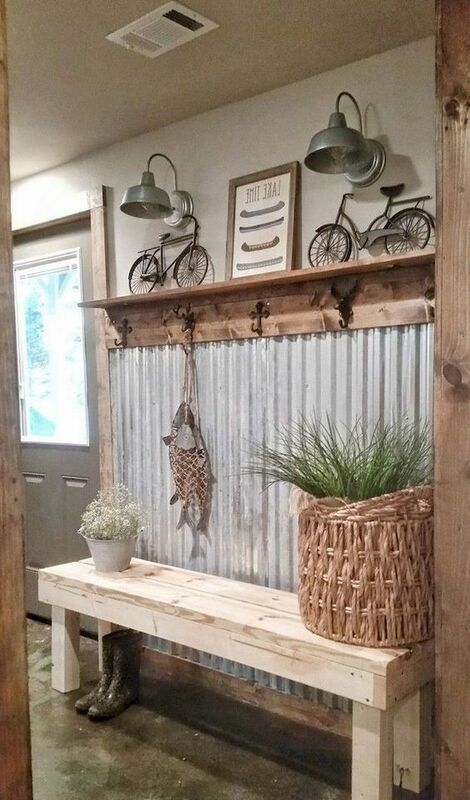 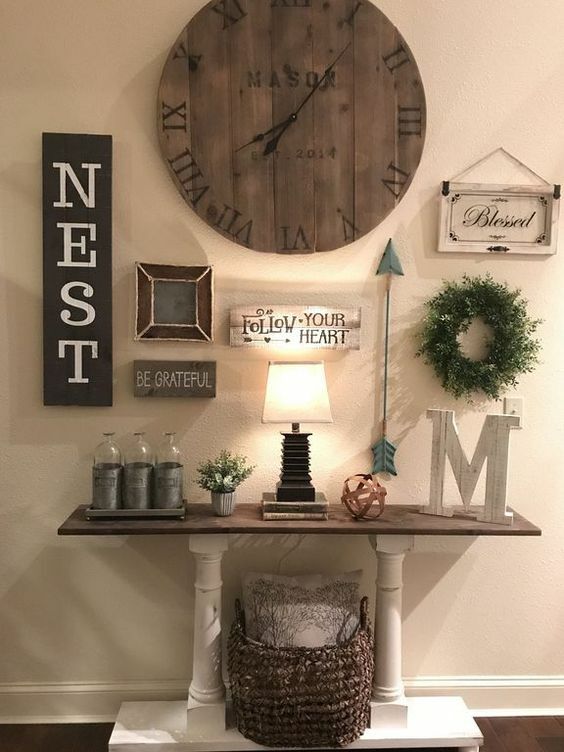 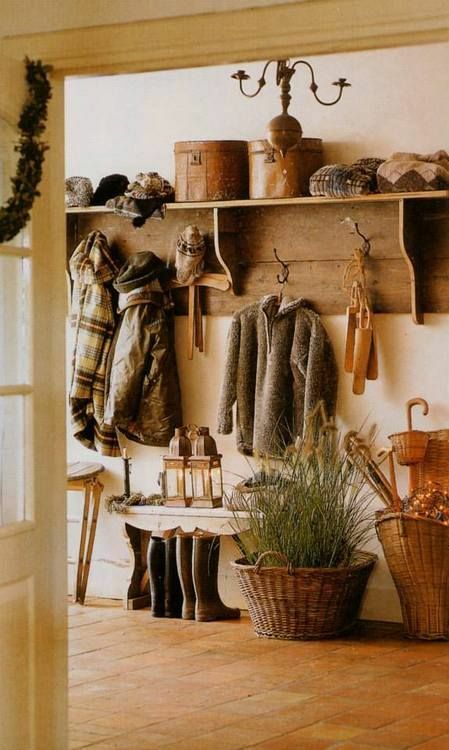 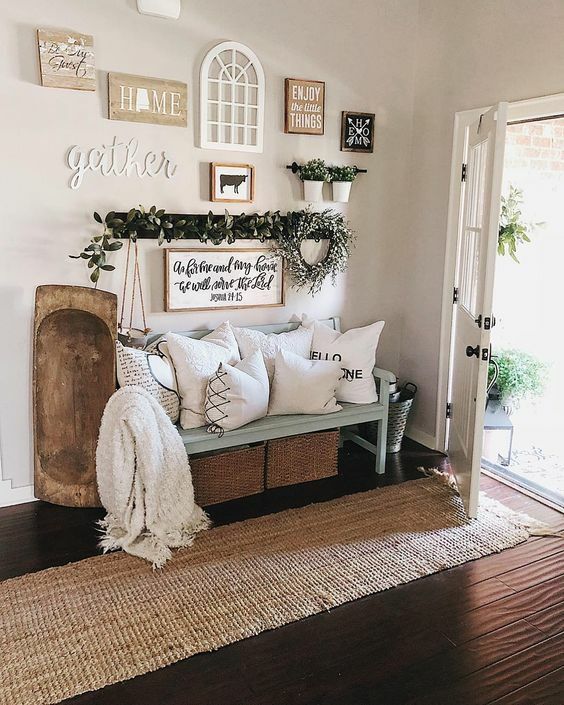 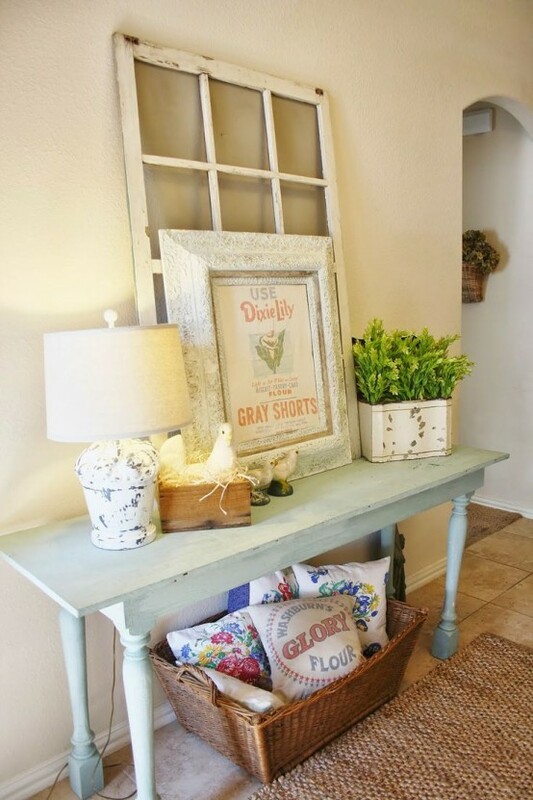 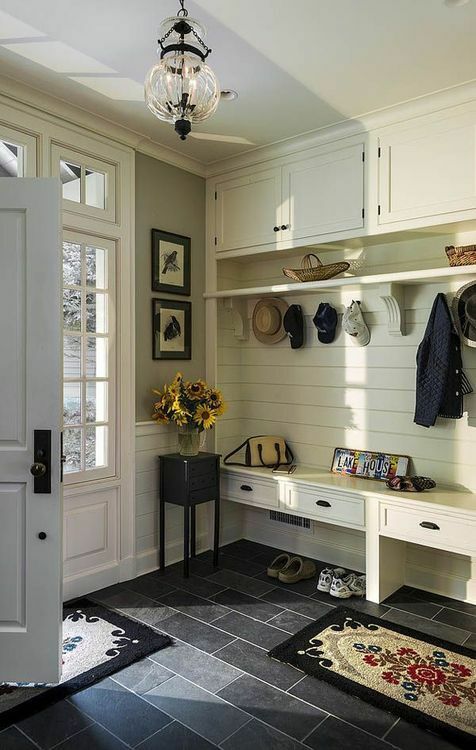 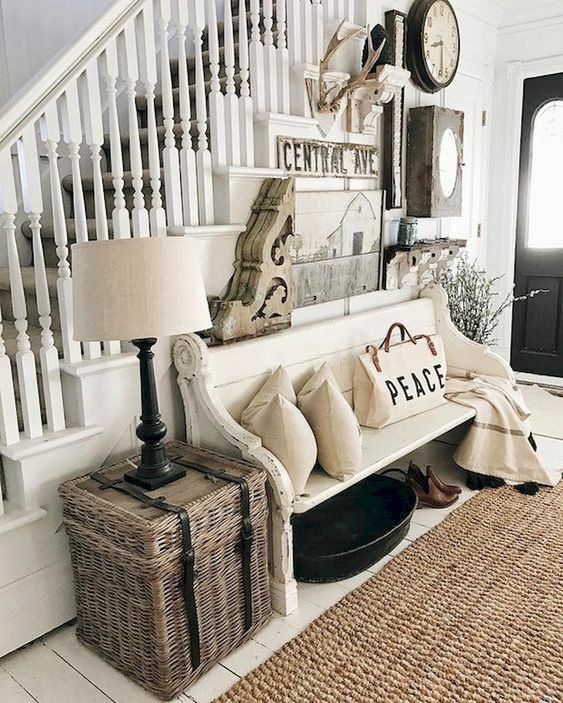 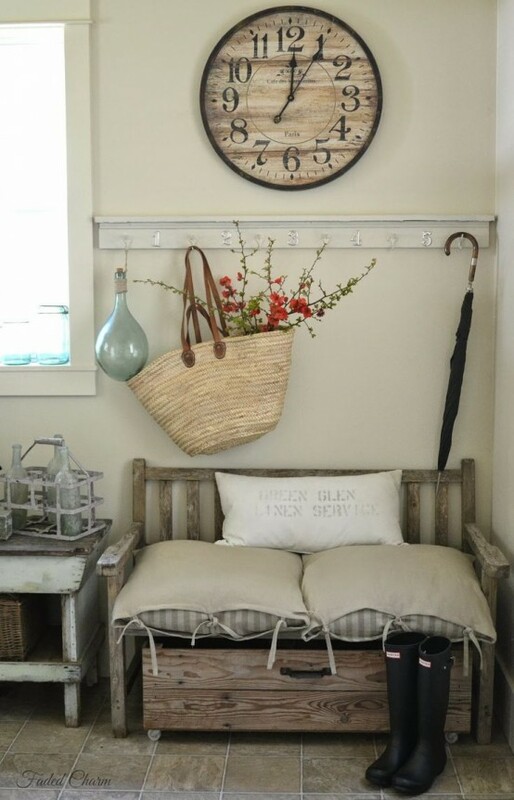 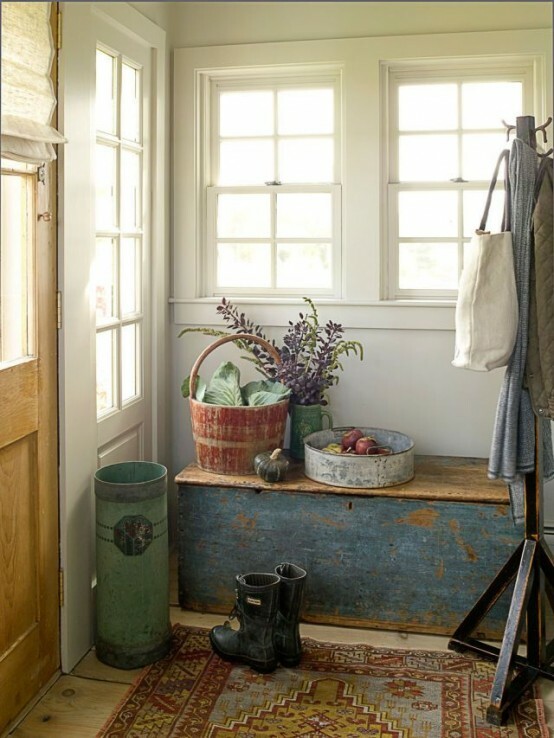 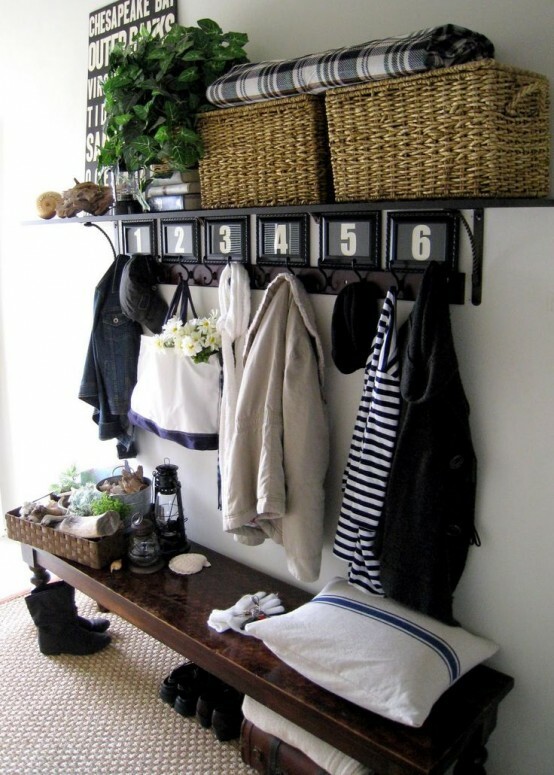 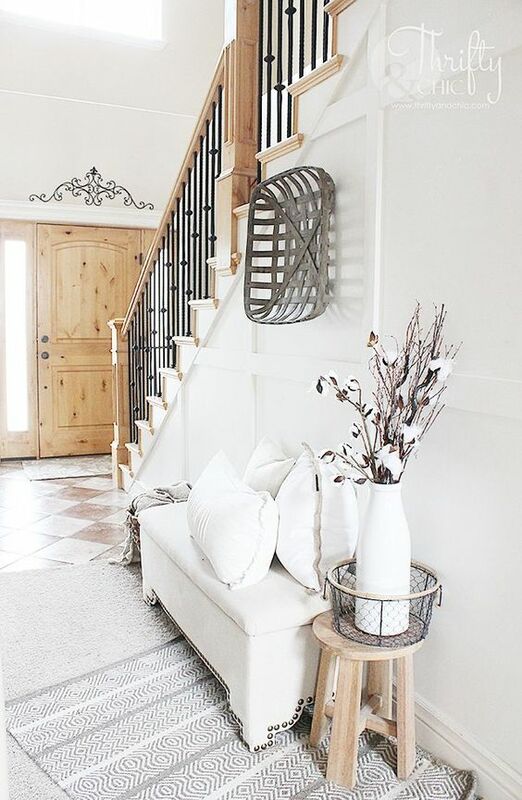 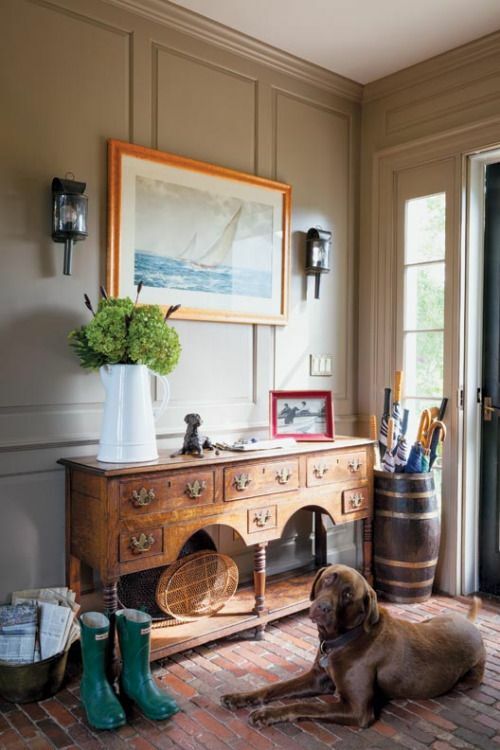 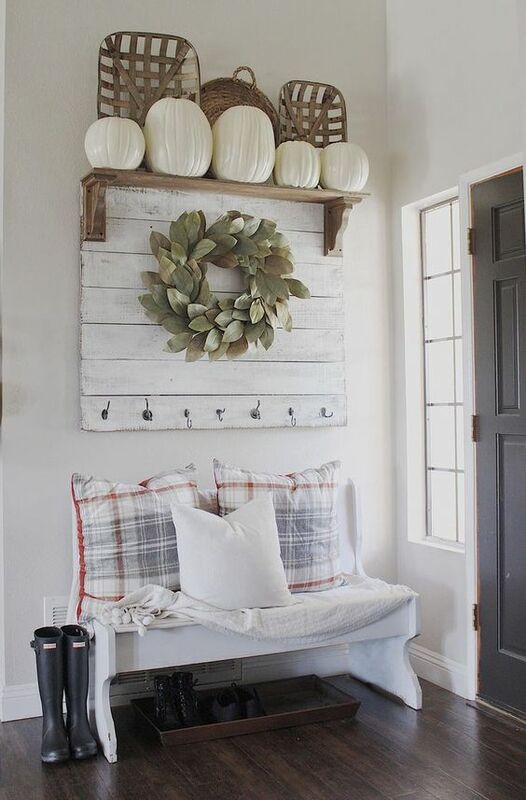 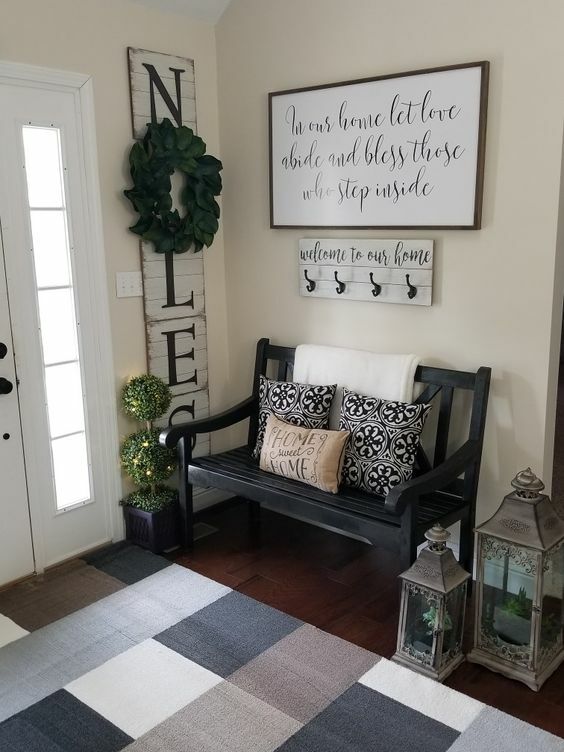 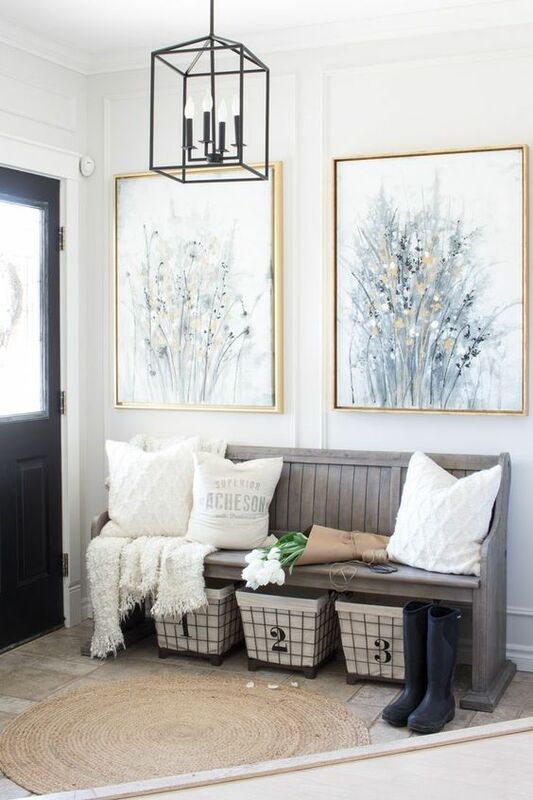 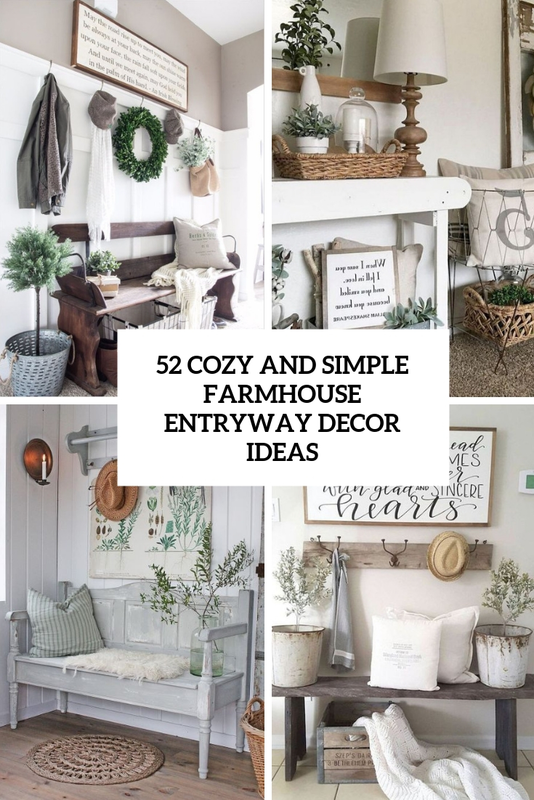 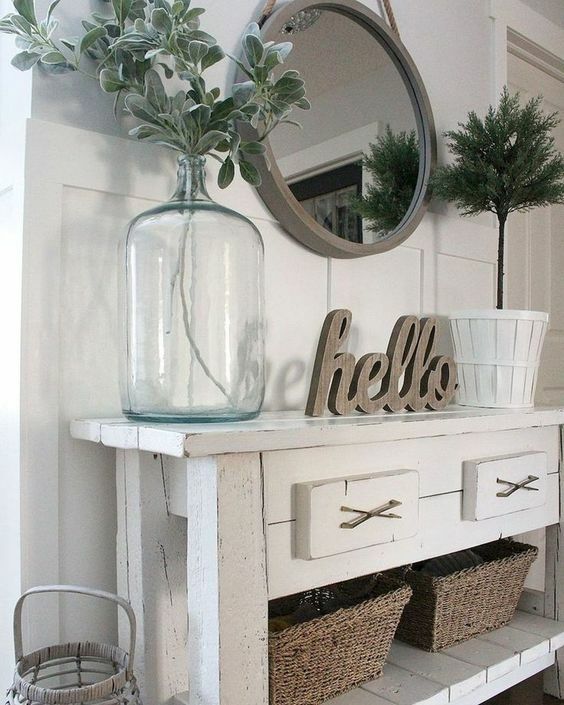 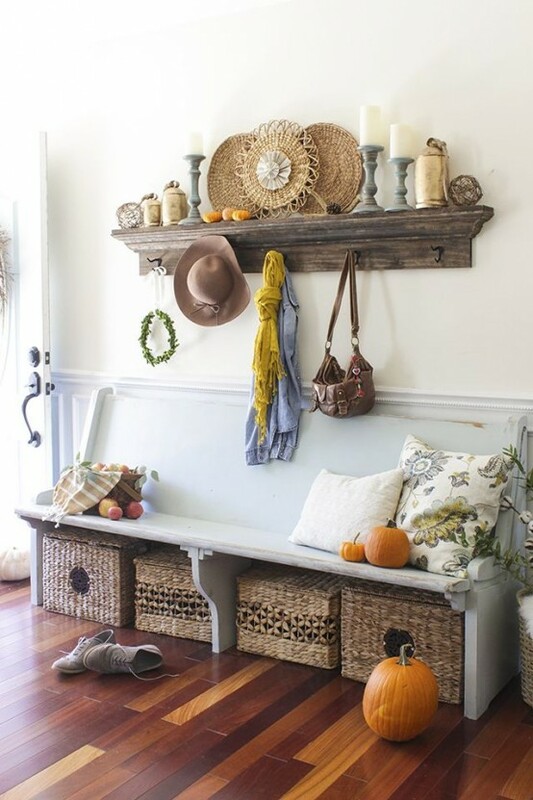 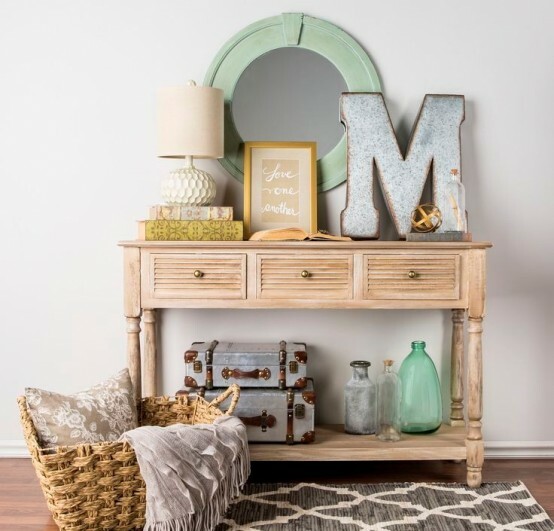 As for materials, besides wood you may use rattan and wicker plus some tin or metal, which are great for decorating vintage and shabby chic farmhouse entryways.